Live adult ground hornets photographed at northern Illinois, USA. Size: 15mm. 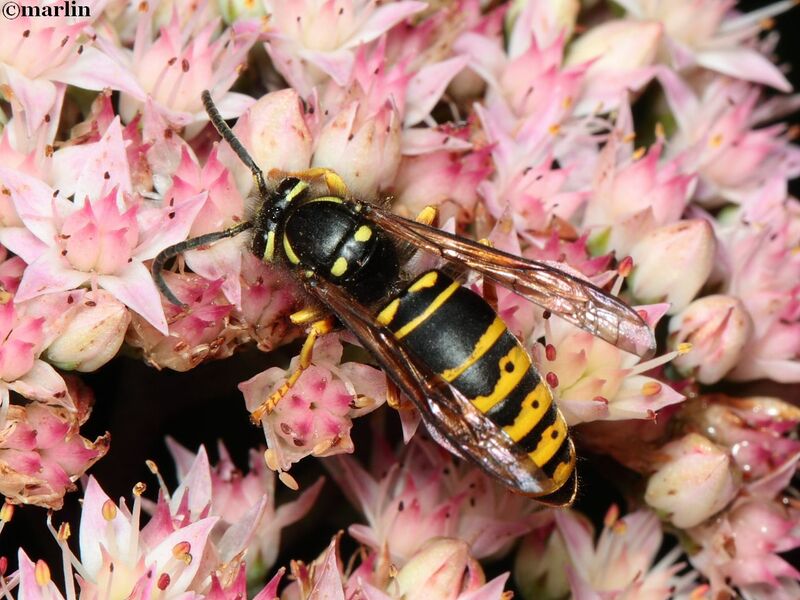 The species epithet vidua refers to Latin for “widow,” and this robust, boldly-colored insect is sometimes called “widow yellowjacket,” referring to the large areas of black coloration in relation to other yellowjackets. In any event, “common” names are anything but – there are many colloquial names for insect species that may range over much of the globe. 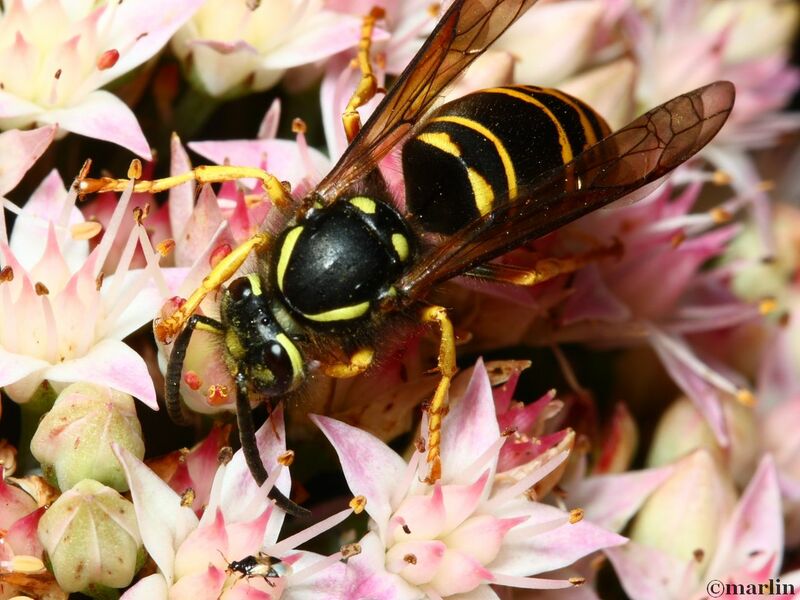 Adults feed on nectar, and rank as important pollinators, at least in my flower gardens. These specimens are fairly well dotted with pollen caught in the tiny hairs on their head, thorax, and tibia. 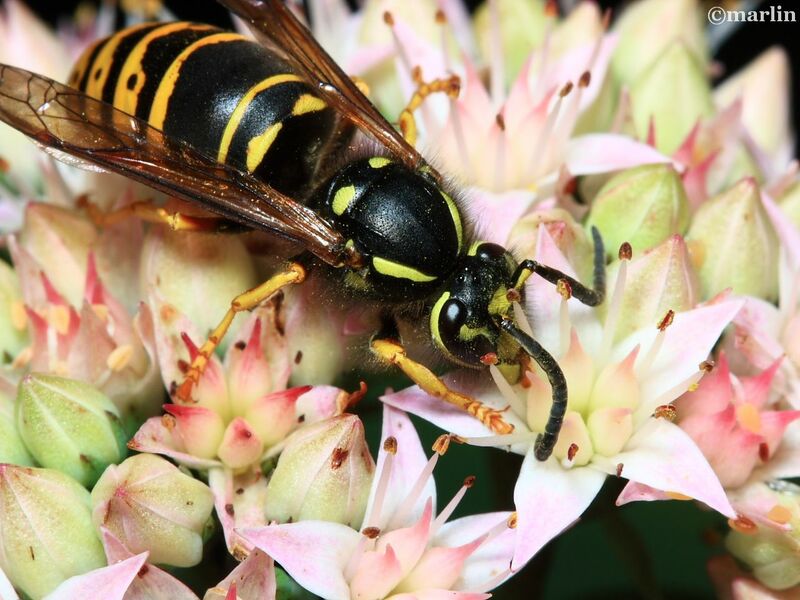 Ground hornets are active predators which feed their larvae chewed-up insects they capture while hunting amidst low foliage. Although called ground hornet, this large critter is known to nest not only underground, but inside the walls of buildings or in voids in stone foundations. 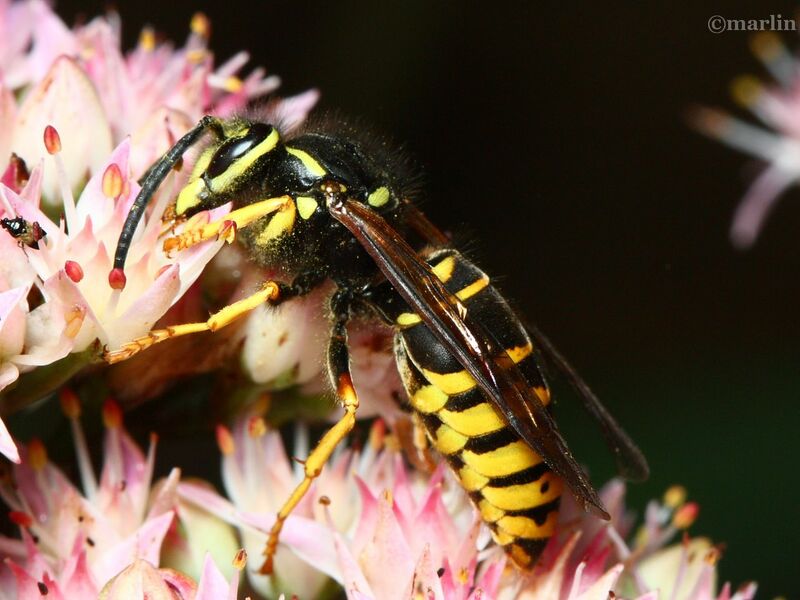 As with any yellowjacket, this gal can sting repeatedly, so use extreme caution if you encounter a colony. Once you have disturbed a nest, they will fill the air with alarm pheromones which very quickly attract any of their sisters in the neighborhood – and they will be aggressive defending their brood. Just for scale, look just under the wasp’s head – there is a tiny seed bug also feeding on this plant. These specimens are female workers.